Martini is a decentralized fashion ecosystem which facilitates investment in emerging designer brands and creates a global marketplace for trading fashion-related products and services. We believe future world should be decentralized and equal - for fashion as well. Fashion will not be defined by a handful of brands and fashion designers will have the chance to show their talents to a global audience and individuals will have the choice and the means to support designers, monetize skills and trade valuables on Martini. Martini Core team consists of former GUCCI & LVMH directors from Italy and Japan. Our research and development team members come from Amazon, FROG and world-renowned research center. We have connections all over fashion and tech sphere! 2. Our Product Is In Need. We have brought the prototype to fashion professionals from the start of this year and received very positive feedback. 3. Invest in First Mover. We are representing fashion industry in the blockchain sphere. The first. 36 fashion professionals including models(based at Bangkok, HK and LA), photographers who has previously worked for prestigious brands has signed up interest form to work on Martini. ...and there are more designers, models and other fashion professionals joining our chat each day. -> JOIN THE SEXIEST TG GROUP ON EARTH! -> An article introducing Martini RANKED THE HOTTEST under the fashion tag in Steemit. Go Check! 50,000,000 tokens (equivalent around $500,000) will be allocated for this bounty campaign. 1. The bounty campaign lasts until the crowdsale round of our ICO is completed. 5. Any cheating, spamming will disqualify you from any of the bounties. 6. Any created content will be reviewed and then determined in terms of how many stakes will be earned. Please avoid posting on your own wordpress/blogspot blog sites unless you have an established reader base. 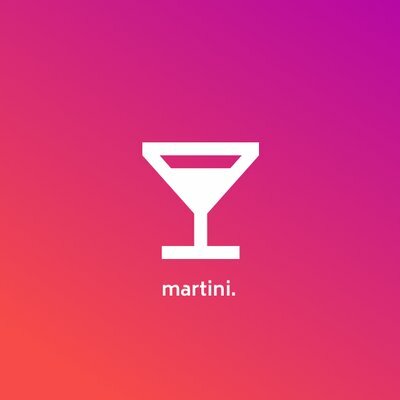 OPTION 1: Post a POSITIVE review about Martini on Steemit/Medium/Reddit. OPTION 2: Post a POSITIVE review/recommendation about Martini on local social media websites in YOUR NATIVE LANGUAGE! 1. Your account need to be registered at least 20 days and with more than 10 comments or posts. 2. The content must be be posted on a website that is at least 3 months old, relevant to the crypto-world, available to the public, and the articles must be over 300 words - low quality articles will not be accepted. 6. To proof your ownership of the blog or media you must add your Bitcointalk profile link to your blog posts footer. 7. Each participant has 3 quota of articles on the same platform. Exceeding 3 will not be counted. 1: Twitter account must be at least 1 month old have a minimum of 300 followers. 2: Twitter accounts must be authentic. Bot accounts will not be accepted. 3: Participants must be active and regular Twitter users, and must be retweeting/sharing Martini official tweets and updates. 4: You need to make 5 retweets. And Create at least 3 tweets about Martini in a week. with #martinifashion #ICO #martiniICO (maximum 3 RTs a day). If you comment on the post you share (no spamming-like comments), will receive bonus 100 stakes. 1: Participants must keep the signature until the end of the Campaign. 2: Participants must be ACTIVE with > 10 Posts/week. 4: Accounts with negative trust are not allowed to participate. We will be choosing only one local thread manager who are ready to translate, post and moderate. Please make sure you can handle the work. Moderating and Managing the thread: Keeping the thread active by posting regular updates, news announcements from official thread, facebook and twitter. 1: Translations must be original, using any kind of tools such as Google Translator or any other are not allowed. If anyone is found using the translator, then he/she will be blacklisted. 4: Increasing the moderation post count by spam posts, posting false posts or paying other to ask questions in your thread is not allowed. If found then user will be ineligible for pay and no pay will be issued at the end of the campaign. 6: We are not responsible to pay or accept any kind of translations if done without reserved approval. First get approval for your reservation then start translation. 8: Thread Moderator should know about project very well and should be able to answer question and explain things to the users having any queries or to someone willing to know the project more and know it better.